We could say Volkswagen was tired of making an SUV that ended up being rather expensive – for a VW – after you stuck a few options on it. So in addition to the lost weight, the new Touareg has lost some of the four-wheel drive equipment that made the last one so spendy. This one comes standard with a Torsen limited-slip differential, and then you can order a Terrain Tech Pack that adds the differentials and serious off-road capability that once came standard. That takes fuel economy upward, an boost also helped by the increased curve and lower Cd. 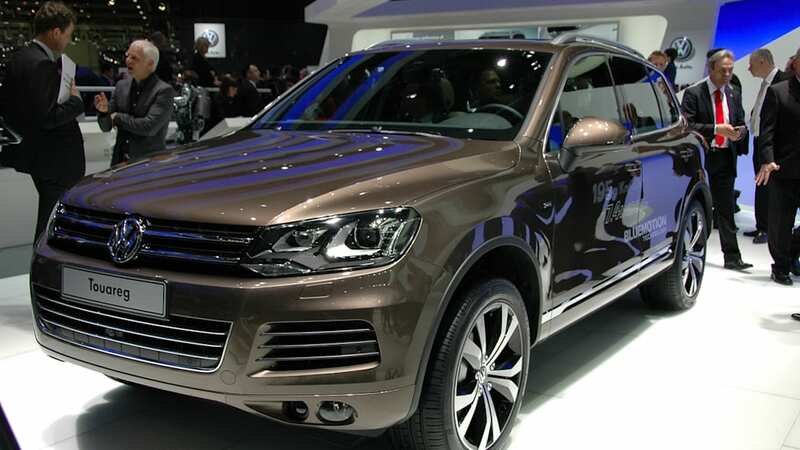 VW sold 500,000 units of the previous-gen Touareg and it should do even better with this one. Follow the jump for info on all the Touareg's new flavors and have a look at it in the gallery of high-res photos below. Wolfsburg/Geneva, March 2010. 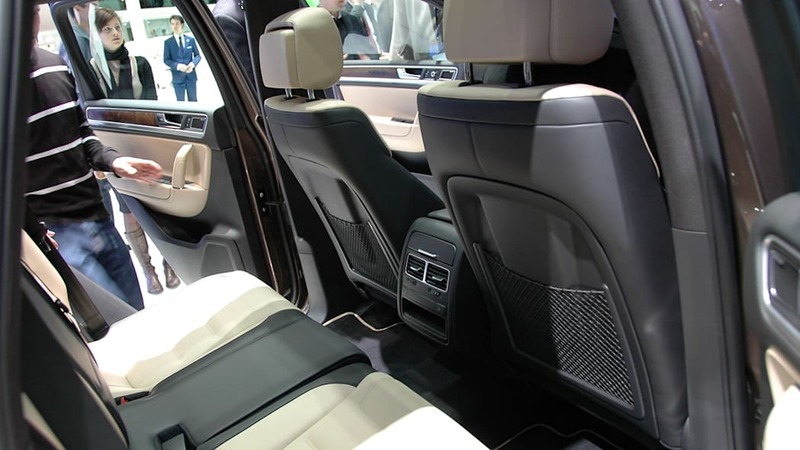 In a show premiere at the Geneva Motor Show Volkswagen is unveiling the completely redeveloped Touareg − and with it the most technically innovative Volkswagen since the brand has been in existence. This Touareg is reinterpreting the fasci nating idea of a multipurpose SUV in a contemporary way – thanks to its up to 25 percent more fuel efficient engines and a large variety of new assistance and safety systems. 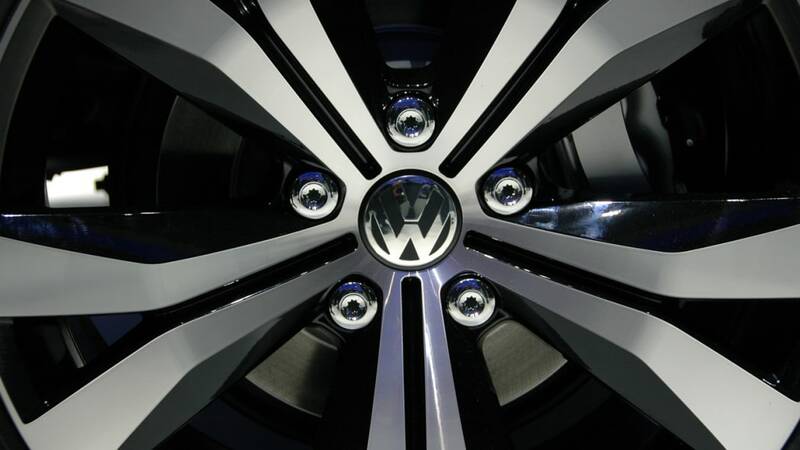 The Touareg will be the first Volkswagen to be offered in a hybrid version (V6 TSI plus E-motor). When the V6 TSI and E-motor operate simultaneously (boosting), this produces a combined power of up to 279 kW /380 PS as measured on a dynamometer, and a torque of maximum 580 Newton-metres. The Touareg Hybrid sets standards among fully off-road capable SUVs with petrol engines with its fuel consumption value of just 8.2 litres fuel per 100 kilometres. It can be driven at speeds of up to 50 km/h in purely electric mode − emissions-free. 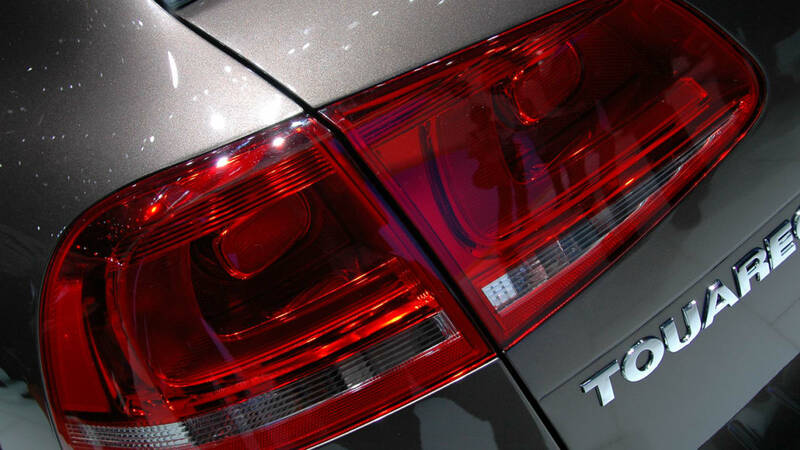 Fuel economy and emissions values of the conventionally powered Touareg versions were significantly improved. Consider the V6 FSI, a direct-injection petrol engine with 206 kW /280 PS: With a fuel econo my of 9.9 l/100 km, the powerful 360 Newton-metre 3.6-litre engine consumes a substantial 2.5 litres less than the previous model. This combined fuel consumption corresponds to CO2 emissions of 236 g/km. And that is exactly 60 g/km less than before. The diesel engines were made more fuel efficient as well. With regard to power, an advanced version of the successful V6 TDI that continues to have 176 kW/240 PS (European version) right at market launch, marks the entry level into the world of the Touareg; the 550 Newton-metre strong turbo-diesel consumes a pioneeringly low 7.4 l/100 km (equivalent to 195 g/km CO2), which is 1.9 litres less than before. 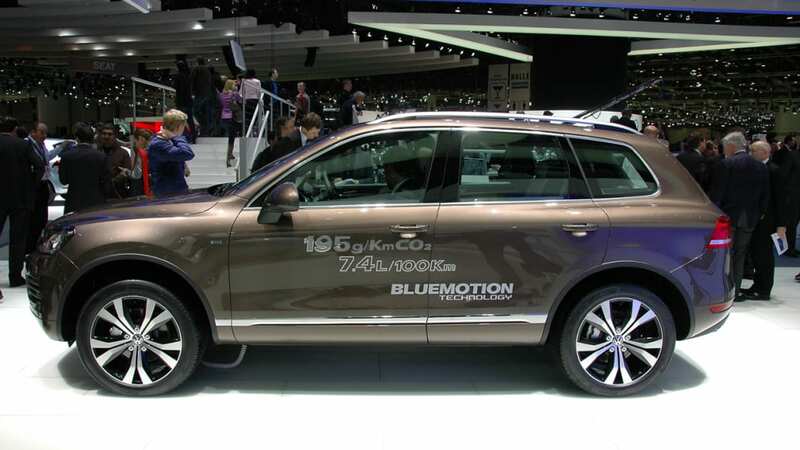 CO2 emissions were reduced by 49 g/km compared to the previous Touareg V6 TDI and a respectable 24 g/km compared to the already very good previous model with BlueMotion Technology. 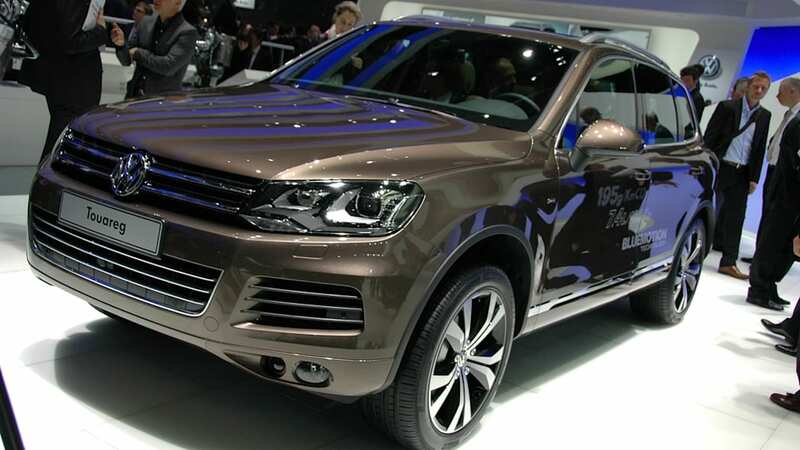 Completely new to the Touareg programme is a V8 TDI with 4.2 litres displacement and 250 kW /340 PS. The combined fuel consumption here – extremely good considering its power and amazing maximum torque of 800 Newton-metres – is 9.1 l/100 km (equivalent to 239 g/km CO2). Engines offered, both diesel and petrol, will vary depending on the specific country. As has already been accomplished on the globally successful, smaller SUV, the Tiguan, Volkswagen is systematically striving for sustain ability on the new Touareg too. 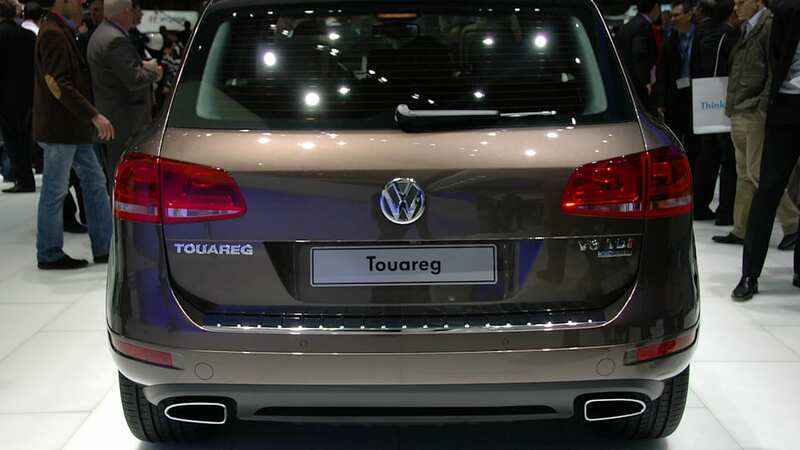 The first precondition has been met: The weight of the base model Touareg has been reduced by 208 kilograms. A quantum leap. Yet, the body has five percent greater torsional rigidity, which makes it the leader in its competitive class. The second precondition has also been achieved: Designers attained a significantly improved Cd value. It was reduced from 0.38 to 0.35. Along with aerodynamic refinement measures, another factor at work here is that this Touareg sits lower to the ground than the previous model. 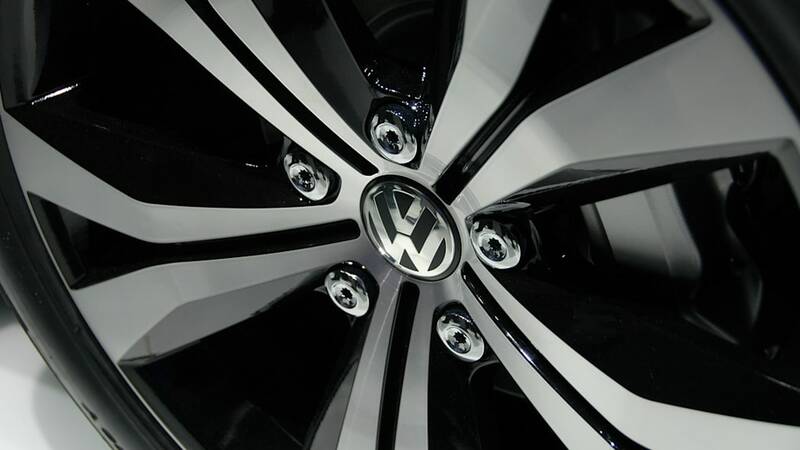 This, to gether with a front end in the style of the new Volkswagen Design DNA, results in a smaller frontal area. The third precondition: All engines, now offered with a standard 8-speed automatic transmission – a first in this market segment – demonstrate significant fuel economy advantages over the previous model; in some cases the advantage is far greater than two litres per 100 kilometres. Another element which has been modified in the quest for reduced fuel consumption is the Touareg's standard all-wheel drive. In the base version (4MOTION), all new generation Touaregs have all-wheel drive with Torsen limited-slip differential (4MOTION; 31 degree climbing gradient). 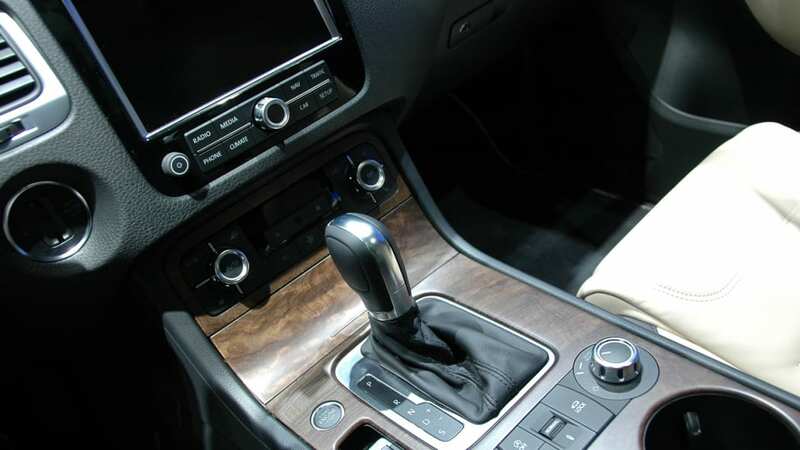 Like the Tiguan Track & Field, the Touareg also has an "Offroad driving programme", which − at the press of a button − tunes the ABS, EDS and ASR for off-road duty, activates Hill Descent Assist and adjusts the automatic gearshift points. 5. Addition of rear differential lock. 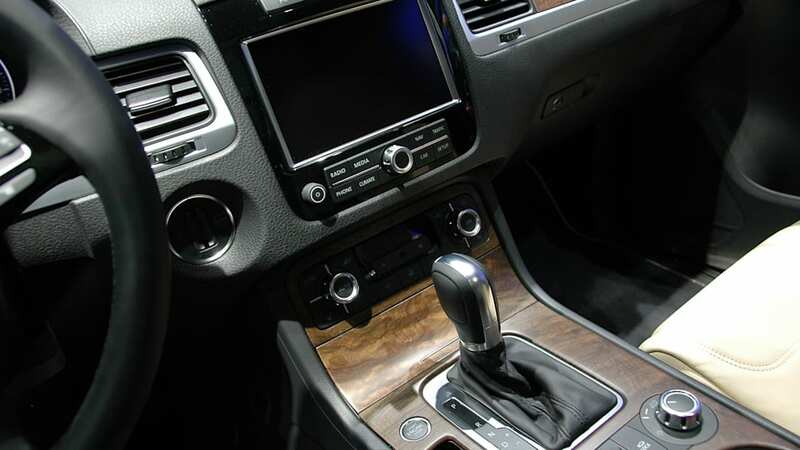 Equipped like this, the Touareg can conquer a wide range of the Earth's terrains. Volkswagen has not only made the new Touareg lighter, more fuel efficient and an agile performer; it has also made it into an even more versatile, all-round vehicle. The new interior was made more functional, the seats more comfortable and leg room in the rear is increased thanks to a 41 millimetre extension of the wheelbase to 2,893 milli metres. Now the rear bench seat has 160 millimetres in longitudinal adjustment, and the backrest angle can be altered. Electrically unlatched at the press of a button as an option, it folds down in seconds and frees up 1,642 litres of cargo space. Already standard equipment in the base version is a radio-CD and info system, which is intuitively controlled via a 6.5-inch touch-screen. 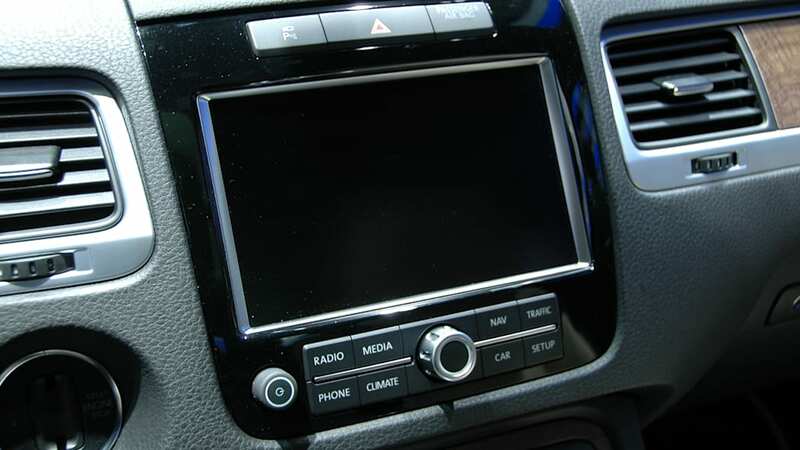 The radio-navigation system in the top version offers a 60 Gigabyte hard drive and 3D building representation. The parking brake is now activated by pushbutton. 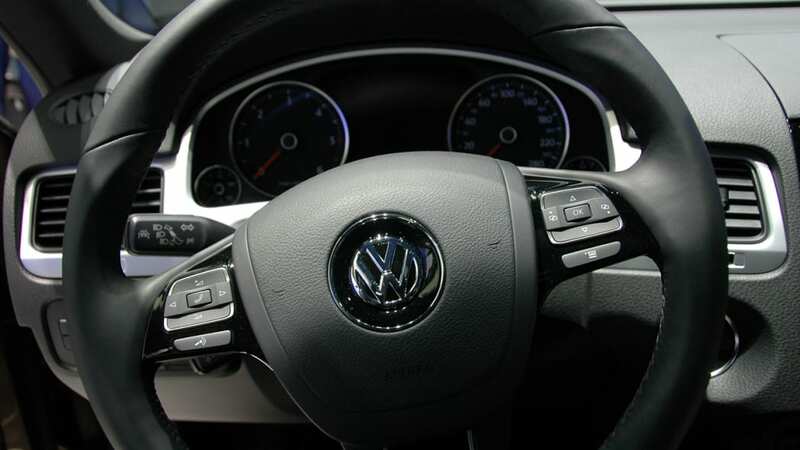 The engine (V6 versions) automatically shuts off at traffic lights and restarts as soon as the driver releases the brake pedal (Stop-Start system). The V6 versions gather valuable kinetic energy during braking and coasting and store it. The oil dipstick has now been retired: The engine oil level is displayed electronically in this Touareg. As an option, the tailgate can be opened and closed automatically. 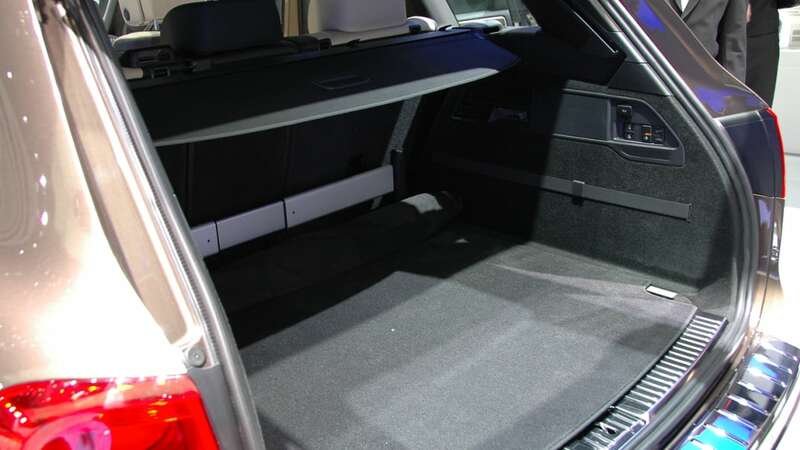 The Touareg can also be specified with a large panoramic sunroof – the largest ever used on an SUV − to provide maximum light in the cabin even on overcast days. There are new features in the vehicle's assistance systems too. The innovative "Area View" utilises four cameras situated around the car to transmit an accurate view of the Touareg's surroundings to enhance safety. Also offering protection are up to nine airbags. Lane Assist ensures that the vehicle does not stray from the right path; meanwhile, Side Assist warns of vehicles approaching from the rear when changing lanes. Adaptive Cruise Control (ACC) plus Front Assist can brake the car to a stop in an emergency. 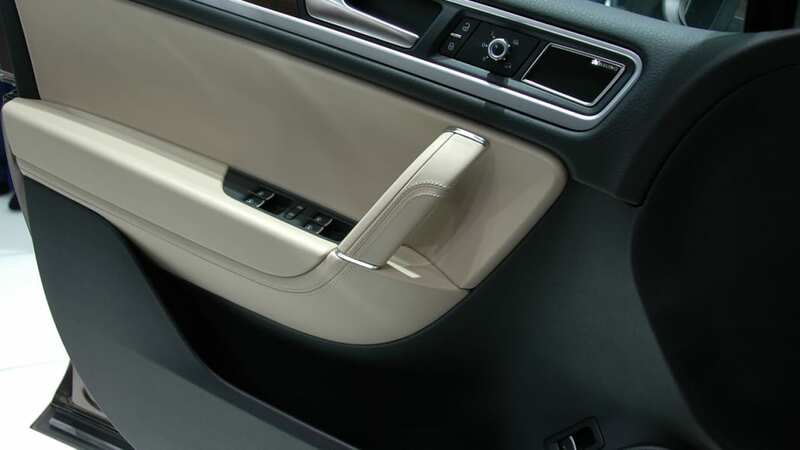 ProActive occupant protection, also completely new, networks the assistance systems and ensures that in case of an accident not only are the belts tensioned, but the windows and panoramic sunroof are closed as a function of the vehicle's transverse dynamics. 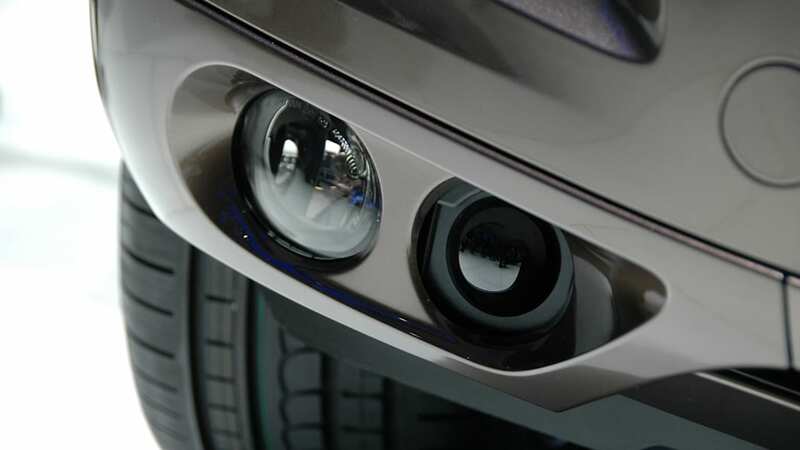 An absolute world's first: Bi-xenon headlights with Dynamic Light Assist. 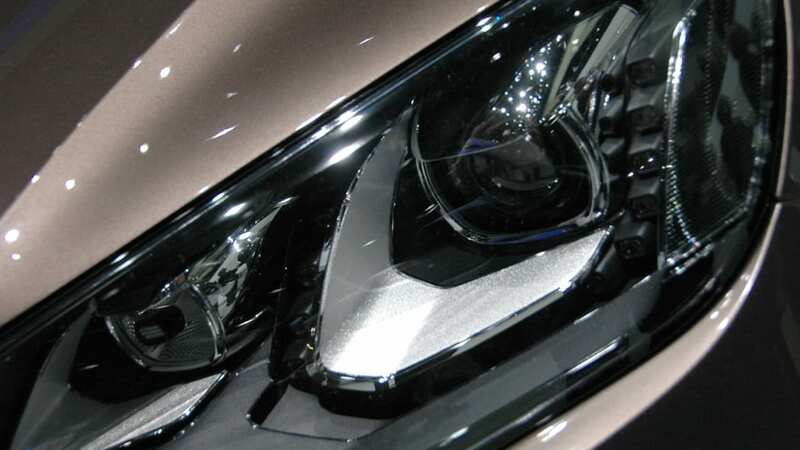 This camera-based high beam headlight actually "sees" oncoming traffic and automatically adjusts – via the curve lighting module and individually for each headlight − the high beam to eliminate unwanted glare. The enhanced safety and convenience offered by Dynamic Light Assist is as significant as the introduction of Xenon technology itself once was. In the sum of its properties, the new Touareg is not only one of the most sustainable SUVs in the world, but definitively also one of the safest passenger vehicles of all times. 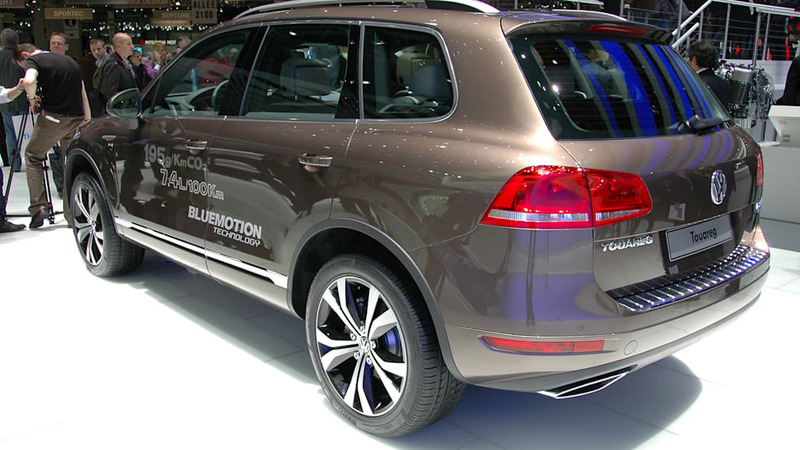 About 500,000 car drivers chose to buy the first generation of the Touareg. It is a luxury sport utility vehicle that offers a high level of comfort, sporty driving properties, avant-garde styling, excellent quality and unlimited expedition capabilities – essentially the best of the passenger car and off-road worlds unified in one concept. This legacy is now being continued in the new Touareg – a high-end and versatile all-round vehicle that brings these two worlds together even more perfec tly. 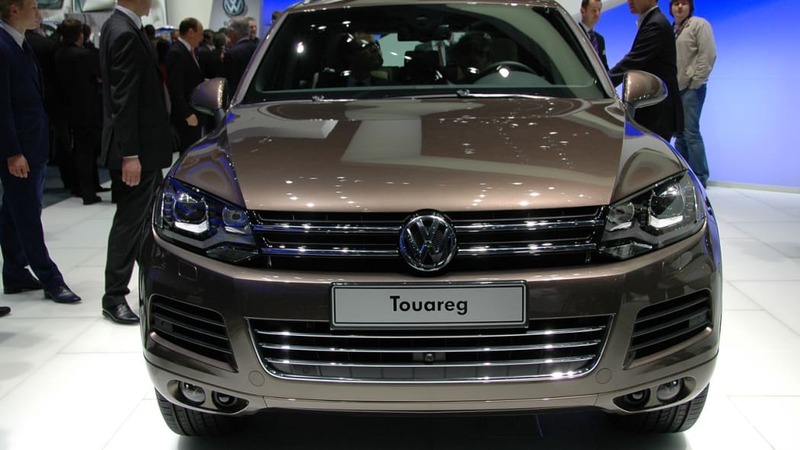 The Touareg will be available at dealers as soon as in April of this year.